The world seafood market, is fuelled by a rising global population, increased discretionary incomes, and technological advances such as packaging and improved transportation. Demand will be particularly strong in developing regions including Latin America and Asia-Pacific. Other factors driving the market include a growing trend towards healthy eating. Thanks to the high protein content of fish, it is becoming an ever-more popular choice for health-conscious consumers wishing to avoid the health drawbacks of meat. The number of specialty fish stores and restaurants is on the rise, and there is greater spending on research and development, which has also been boosting overall salmon consumption. The industry is hampered somewhat by environmental hazards and biological risks. Though the industry is beginning to recover following the financial crisis, it has not been left unscathed, as many consumers cutting back on luxury expenses steered away from fish during the crisis. Species particularly affected included shrimp and oyster varieties. Carp, shrimp, and salmon are the main fish species in today’s production of organic aquaculture. Tuna production is concentrated, with few companies trading the fish at a global level. Chile and Norway are leading players on the global salmon market, accounting for around 65% of the market, followed by Canada and Scotland. In terms of consumption, the main markets are the EU and Japan for fresh and frozen seafood; and the US for fresh, frozen, canned, and other categories. Mollusks, finfish, and crustaceans dominate aquaculture production. Asia-Pacific is the leading region on the global fish market, expanding thanks to economic growth, higher income levels and better spending power in developing regions like India and China. 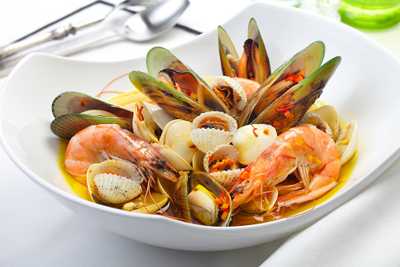 Fresh, frozen and chilled fish comprise the main market segment, with shellfish continuing to exhibit the most rapid growth. The main producers on the fish market are emerging nations, representing almost 93% of the overall culture harvest. China is the world’s number-one processor, producer, exporter and importer of aquaculture goods. Market expansion is driven by higher living standards, greater seafood consumption, a strong export industry and Chinese State legislation facilitating market infrastructure and encouraging new businesses by way of tax benefits. The leading players on the global fish and seafood market include India’s Amalgam Enterprises, Faroe Seafood, Dongwon, Lyons Seafoods, Stolt Sea Farm, The Seafood Company, Tri Marine International, Fishery Products International, Princes, Trebon, Sajo Industries and Surapon Foods. Salmon production is dominated by Cermaq, Marine Harvest, Salmar, and Leroy Seafood, with Marine Harvest leading the four. Norway-based Marine Harvest employs close to 5,000 people, has facilities in more than 20 countries, and serves over 70 markets worldwide. The overall market forecast for the global aquaculture and fisheries market is favorable, with a degree of recovery in trade, and therefore production, across several major markets. Demand for organic aquaculture will grow due to increasing awareness concerning fishing techniques that harm the environment and deplete fish stocks. The organic aquaculture industry has already seen growth in excess of 900% over 25 years and is set to continue expanding. Emerging techniques and education that will see producers in the aquaculture industry rake in higher profits and become more sustainable, to better meet aquaculture demand. The main threat to the industry remains that of environmental groups seeking to have regulations approved to protect species of wild fish.